It wasn’t long ago that in-flight internet access was either unavailable or simply too expensive but in the past couple of years, many airlines have begun to offer the service. Gogo has been one of the most popular providers and it may become the go-to provider now that it has announced a new technology called 2Ku that will enable speeds up to 70Mbps. When put up against Gogo’s current 9.8Mbps speeds, 70Mbps is very impressive and is also far greater than what you are likely to find on most airlines that supprt in-flight internet.The roll out will take a while and only Japan Airlines will be receiving 2Ku to begin with. 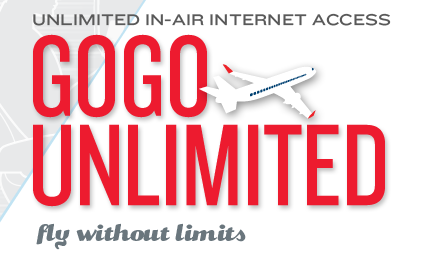 Gogo expects it to take until mid-2015 for any airline to receive the faster internet speeds. Speed is obviously a very important part of any internet connection but reliability–imagine trying to keep up connectivity on a plan–is also important. To make sure that the service is as good as possible, Gogo will be using new satellite antennas that should add greater support when flying over tropic areas. 2Ku will be used primarily in the global aviation industry whereas Ground to Orbit (GTO) technology will be employed in the United States. GTO will also be capable of providing the 70Mbps speed. It is important to remember that there is a big difference between 70Mbps to a plane and 70Mbps to a household, since fliers have to share the access. Therefore, although the speed increase is coming, streaming massive videos will not necessarily be enabled when there are dozens (or hundreds) of people relying on one connection. The new antenna that will rolled out alongside 2Ku is just 4.5 inches which Gogo says will reduce drag on airplanes. Anand Chari, Gogo’s chief technology officer, says that eventually, even newer technologies will allow that speed to be pushed above 100Mbps. Question – Do you pay for in-flight internet when it is available? 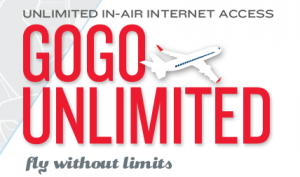 Summary: Gogo has announced its new 2Ku in-flight internet technology. 2Ku will enable speeds up to 70Mbps. Japan Airlines will be the first airline to receive the faster speeds in mid-2015.